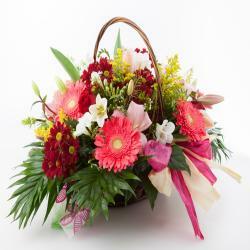 Basket of 25 Mix flowers Like Lilies, Gerberas and Carnations. 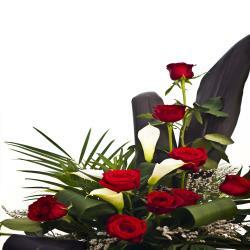 Have a look at this beautiful and gorgeous one sided basket arrangement. It has the capacity to charm anyone with their natural beauty. These mixed flowers definitely grab attention quite easily. There are Twenty five flowers in all and these make for wonderful gifts for birthdays, Valentines Day and anniversaries and other occasions. This lovely basket contains lilies, gerberas and carnations which are arranged very artistically and it is give very attractive looks. 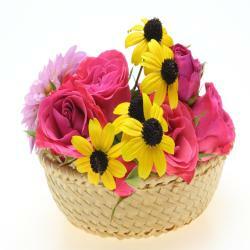 Express your feelings by gifting this amazing floral basket to the one whom you love. 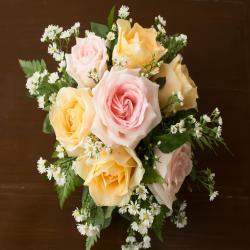 On the special day make him/her feel very much special. So go ahead and place your order now at giftacrossindia.com and get express delivery within 24 hours. 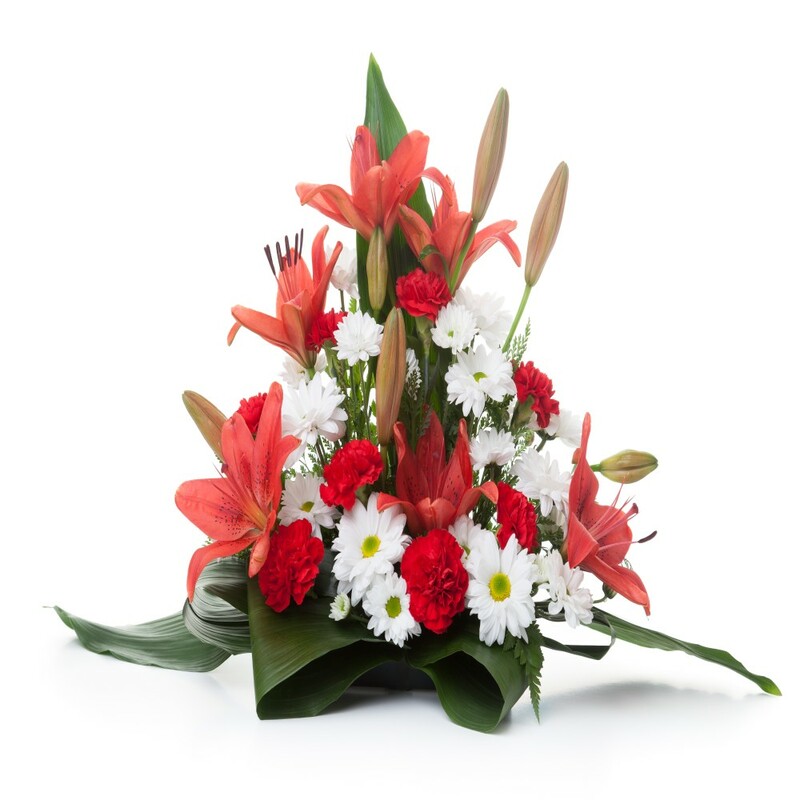 Product Details : Basket of 25 Mix flowers Like Lilies, Gerberas and Carnations.